When lifting a Jeep, the factory suspension arms pull the front axle out of alignment. This causes unnecessary wear and tear to the driveline, poor handling, and affects ride comfort. Re-center the front axle on your lifted Wrangler JL with the Rancho Front Adjustable Track Bar. This 100% bolt on upgrade comes with Rancho’s premium D2 bushings. D2 bushings are made from synthetic PFTE Teflon and are engineered to reduce noise, vibration, and harshness (NVH). Rancho’s Front Adjustable Track Bar is compatible with all 2” – 4.5” lifts. Vehicle Specific Design: The Rancho Front Adjustable Track Bar is specifically designed for the Jeep Wrangler JL, and directly bolts into place without cutting, drilling or other modification. D2 Bushings: Rancho’s synthetic PFTE Teflon D2 bushings are self-centering, high-articulation, grease free, fully re-buildable. 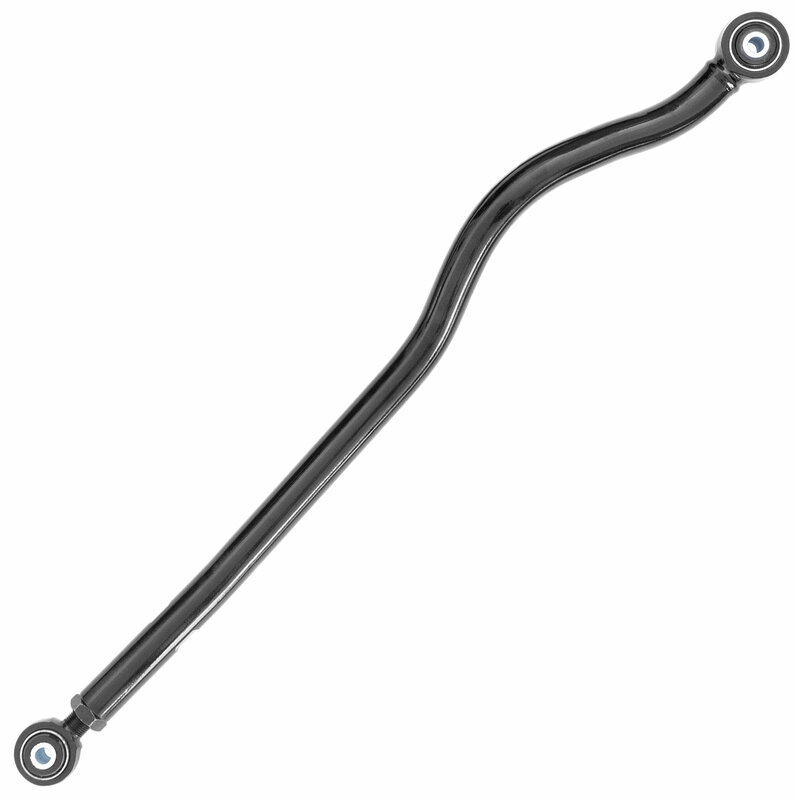 Adjustable: Adjustable track bars allow you to precisely align your axles under your Jeep for better tracking and handling. This track bar is meant for use with 2” to 4.5” lifts. Heavy Duty Construction: The bar is made from 1.375" outer diameter tubing with .290 DOM wall thickness and forged ends.